Mike Sparks is the executive vice president/CEO of Florida Citrus Mutual. Industry association estimates new farm bill appropriations will exceed $50 million each year. Scientific progress and fortitude helping the Sunshine State’s signature crop and its producers grow stronger amid adversity. Beyond the tangible impact unleashed on Florida groves, Hurricane Irma exposed major flaws in the federal crop insurance program for citrus. Despite still having mounds of wood to chop, grower, federal, and state programs collectively are making a dent. A group effort is necessary to forge ahead. Job No. 1 at Florida Citrus Mutual is working to uncover, create, or publicize incentive programs designed to mitigate the risk and give growers a financial nudge and the confidence to plant trees. 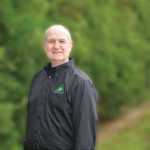 Program could help eliminate these havens of HLB bacteria and psyllids. The path to survival is paved with passion and perseverance. Florida Citrus Mutual’s Mike Sparks appreciative of organization’s drive to keep the state’s signature crop alive. Florida Citrus Mutual is pushing a proposal forward that will allow growers to directly write off putting new trees in the ground. Positive alignment of numerous programs give reason for optimism. Although production costs are way up, Florida Citrus Mutual’s Mike Sparks says growing citrus can still be profitable at today’s prices. Investment to go a long way in uncovering solutions to citrus greening disease.